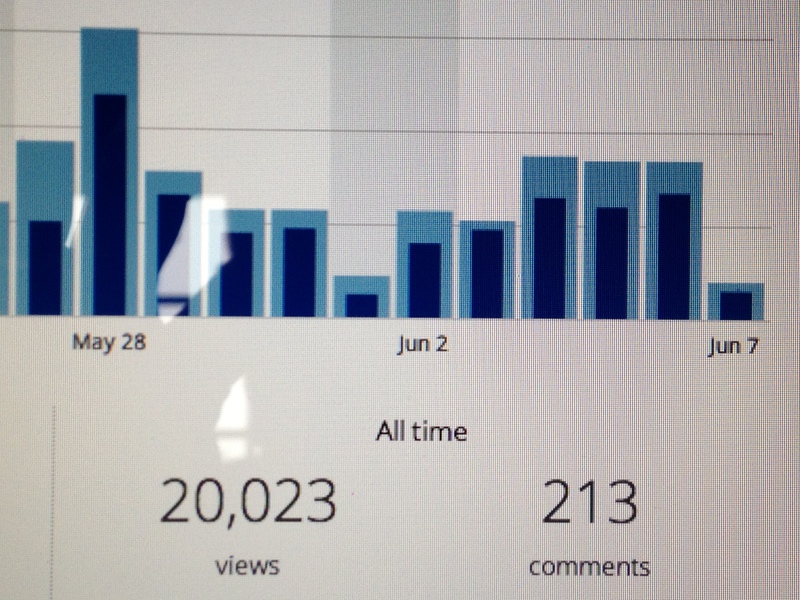 Today is a milestone: 20,000 views on the blog. I am blown away by this whole blogging phenomenon and how each of us can spread ideas across the globe. Blogging made me think about the printing press and how when it was introduced it created fear because it would mean anyone could print their ideas…unedited and uncontrolled. Those same detractors would never have been able to fathom the ability to spread an idea across the globe in a single click. This milestone could not have happened without YOU! I am humbled and honored to be in this space and have people who connect with this attempt to Change the World. Thank you to my wife and editor who puts up with my anxious “did you read/proof it yet” seconds after I send her the draft. Thank you to my daughters who provide inspiration and material and generally put up with me. Together we have conquered fear, hikes, our first race, and you provide things to hold in my pocket when I am away. Thank you to friends who provided ideas, thoughts, and even artwork for this blog. Thank you to my Mom and the Navy for helping to shape and mold me. Thank you to Talin Orfali, a Canadian writer who followed and encouraged me early on. Thank you to the people from over 139 countries who recently visited. Most of you were looking for something else, but it is flattering. Most of all Thank YOU for reading, encouraging, and helping me develop some thoughts around helping to Change the World. Who knows, it just may work. The day came to a close and as I walked out to my car after a long day at work. 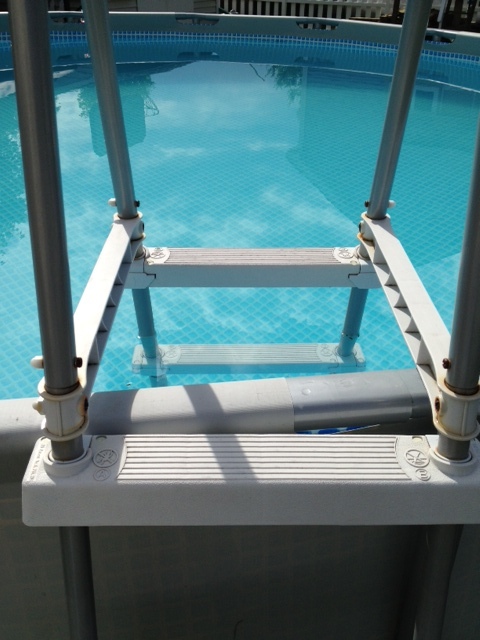 I walked beside another person and mentioned that I got a thank you from my spouse about setting up the pool. What I heard back caught me a little off guard. I felt the need to clarify. This reminded me of how often I hear other people criticizing their spouses or significant others, their friends, and even this kids in front of others. I grew up around a lot of people who would do this, and it has taken a lot of effort to not follow in that path. Why do we feel so compelled to express such dissatisfaction with others? What makes matters worse is how often I hear it happen in front of the person being criticized. I am heading to a party with a lot of couples and their kids this afternoon, and I am going to count how many times I hear this happening (maybe it could someday be a kind of a sad bingo game for parties). For the next week or so, take the time to listen for it, you may be amazed at how often this occurs. When you hear it happening, have the courage to step in and provide an encouraging word or re-direct the conversation. And if you catch yourself doing it…Stop it.